A couple of weeks ago a chance conversation put me onto a spot where crucians used to live 'back in the day'. It was too much to resist, I'd love to add one to this year's species list, in fact I've never caught one. Fishing maggots and sweetcorn I only had to wait about half an hour for the first bite, a careful fight and my first crucian was in the net. 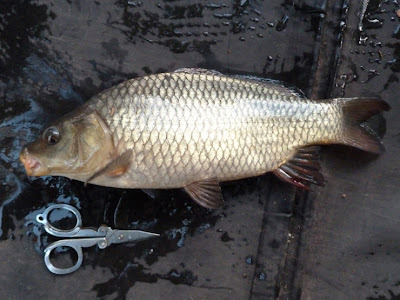 Then, and I'm not sure how fish do this, it transformed into a common carp between the water and the unhooking mat. 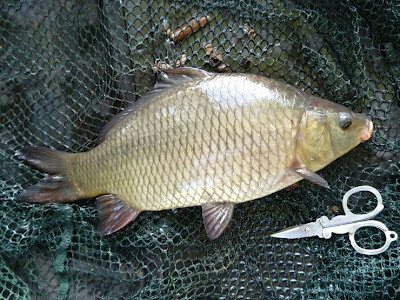 A shoal of gudgeon arrived and I was happily catching them until crucian suspect number two was netted. Another small common! Suspect number three also turned out to be a little common carp. Next cast I hooked his great, great grandmother... Just as I thought the fight was starting to go my way the hook link broke... I'll be back with beefier kit! Species still on the list: Bleak, bream, bullhead, crucian, carp (leather), grayling, goldfish, goldfish (brown), koi (ghost), minnow, pike, pumpkinseed, rudd, ruffe, salmon, stickleback, stone loach, tench, trout (brown), trout (rainbow). 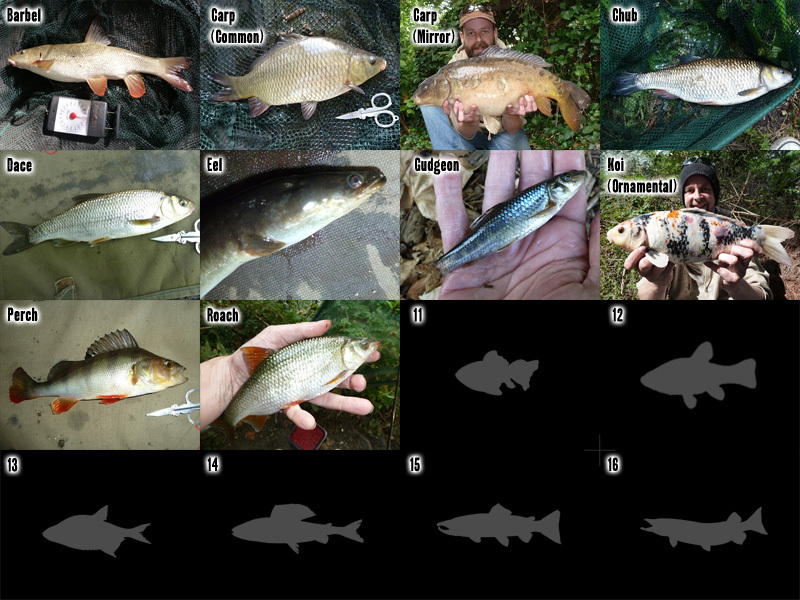 A possible 20 more species, but the main ones left on my summer list are minnow, rudd, brown trout and crucian. 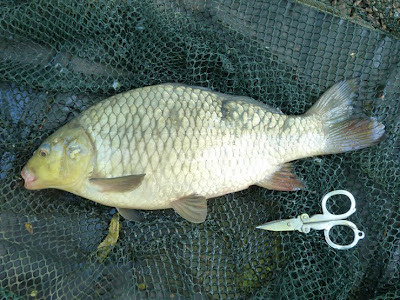 Crucian fishing must be one of the most frustrating occupations known to man. Never caught one, only ever seen them in fish tanks. But I was working from a tip off - worth a try. Hi Brian my nephew had a nice crucian a couple of weeks ago from the wandle 1lb 15oz I would put the picture up but not sure how to do it,il show you next time I bump into you if you want to see it. Tight lines mate. 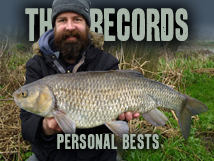 I've heard about the recent crucians caught from the wandle thinking of going after one, would love to beat my pb barbel this season though! Good luck with the barbel and the crucians, I think the crucian spots are even more closely guarded secrets than the barbel spots! If you want to give me your email address Brian i can send the picture i know how to do that lol. Cheers Paul, it's brian(at)prawnsoda.co.uk - thanks again. That sounds frustrating! I guess it's just comes down to determination in the end. Better luck next time! Just time on the river, crucians are pretty rare. 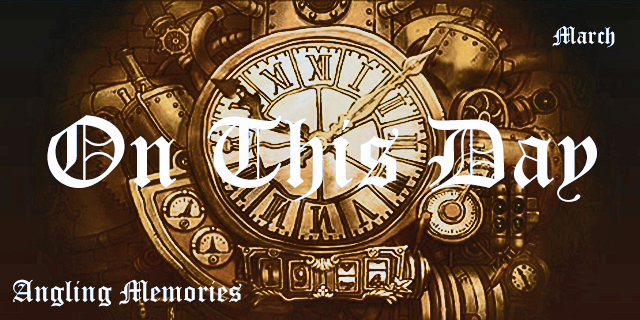 Shame to hear your line broke just when you though you might have it. Crucians can be a pain to find, but well worth the effort in the end.